A great churning appears to be underway within India’s smaller neighbours. In Bangladesh, opposition leader Khaleda Zia has been sentenced to five years in jail for corruption. In Sri Lanka, former President Mahinda Rajapaksa’s party scored a big victory in local elections. In Nepal, K.P. Oli – who has a difficult history with India – has returned as prime minister. In the Maldives, a state of emergency has been declared by an embattled president Abdulla Yameen. In Bhutan, local elections are around the corner, amid calls from some politicians to decrease the country’s dependence on India. The Indian press – print, television, and online – has noted these developments and adopted a familiar refrain: India is losing the neighbourhood. 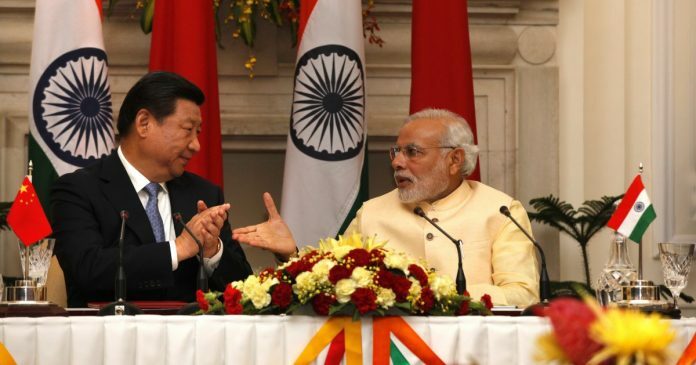 It feeds a well-worn narrative, in which China is ascendant and India is surrounded, isolated, and helpless. But if one were to step back just a little, look at longer trends and the stark realities of India’s relationships with Bangladesh, Sri Lanka, Nepal, Bhutan, and the Maldives, the picture looks rather different. The political, economic, and military interdependence between India and its smaller neighbours (not counting Pakistan, Afghanistan, and Myanmar) is far too great, and is in fact deepening. India can certainly do a better job in building consent, trust, and goodwill with these countries. But reports of India’s demise as a regional power are greatly exaggerated. Dhruva Jaishankar is Fellow, Foreign Policy, with Brookings India in New Delhi. One thing on would do well to ponder Dhruva. Each one of Pakistan, Bangladesh, Myanmar, Maldives, Nepal, and Maldives is a failed state. So what if China increases its footprint there. China seems to be able to only increase its footprint with failed states. We need not worry much about it. Show me one normal nation in which China has an enhanced footprint. Speaks volumes about China. I would not worry to much about what is happening in the Maldives. There will be no Maldives in 50 years thanks to global warning. China dates the ugliest girls in the prom! Good points, all of them. Our bridges and cautions are very much required regardless of leadership changes since statecraft usually operates in the grey zone where unease, friendship and hostility co-exist and even overlap. The author points this out well and his final point about the examples of history is very, very important. Ordinary Indians have a better grip on History and therefore a more realistic appreciation of the looming Chinese threat and the Indian Stat’e traditional smugness that comes from decades of successful looting from hapless Indian “haves” for the “have lots” in the name of the “have nots”. Exceedingly well written. The arguments are irrefutable and ought to set Indian anxieties at rest. However, India has in the past been described – rightly or wrongly – as “lacking the will to power” and that should not be the case going forward. It is inevitable that China will continue to seek to enhance its influence in our region. It will exploit differences among South Asian states to advance its own interests. But a consistent, deliberate approach on our part would always be better than knee jerk reactions.